The Pandora Society » An American Shire? The Tolkienites are at it again, this time on the other side of the Atlantic. About one week ago, yet another ambitious IndieGoGo campaign popped out of The Lord of the Rings and into the wonderful world of crowdfunding. This time, the hopeful team (Shire America) has proposed a replica of the Shire. 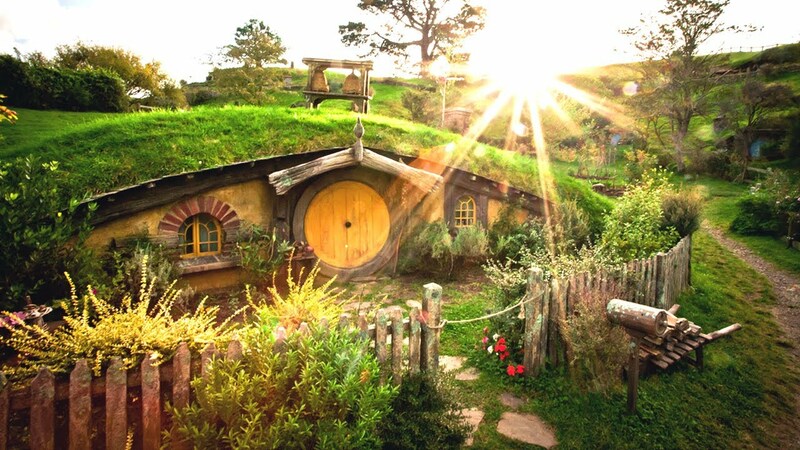 In New Zealand, the owners of the Shire ‘set’ elected to keep up the hobbit holes and use the otherwise empty field as a tourist attraction. Naturally, that’s a bit of a trip for anyone living farther away than Australia. And we Americans really do love our tourist attractions. So Shire America has set about correcting the dearth of Tolkien-themed escapes on our continent, and have organized to build a home for every Baggins, Took, Gamgee, and even Proudfoot who would like to visit. The foothills of Tennessee would serve as the new Shire. It’s an interesting choice, because it strikes a good balance between relative isolation and ease of access. Although the campaign doesn’t list a specific location for the proposed Shire, the land they are scouting “will escape any views of the modern world.” The Smoky Mountains have many existing tourist attractions (being one themselves), and there are several highways that wind through undeveloped areas between major cities. Does this campaign have a better chance of success than Minas Tirith? Actually, yes. The proposed budget is 7.3 million, which is vastly more realistic than the billion plus required for Minas Tirith. Is it realistic for crowdfunding? Probably not, but we Tolkien junkies live in hope. Unlike the worrisome details (and lack thereof) in the Minas Tirith campaign, Shire America has clear plans for the use and life of the Shire. 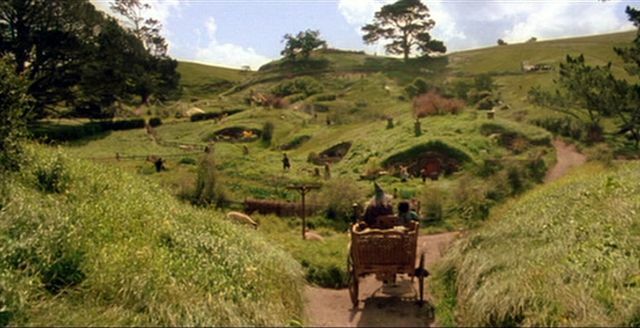 Instead of a flawed Utopia of nerdom, the Shire would function first and foremost as a tourist attraction for Tolkien fans of all ages to visit and enjoy – temporarily. The campaign implies that there would be some hobbit holes available for rent (in the manner of a resort, not an apartment), and the Dragon Inn would feature a banquet hall I imagine folks could rent – and it’s an inn, so I’m sure it would have rooms, as well. In addition to the regular flow of tourists, Shire America has plans to host a yearly arts and music festival, which sounds like a wonderful (and rather hobbit-like) way to boost funding. The donation perks are also much better. You cannot buy your way into the nobility. In fact, befitting the theme, the highest perk you can earn is a party in your honor. Of course, if this is a birthday party and you take your Tolkien lore seriously, you had better come armed with gifts to bestow upon attendees. Presently, the campaign’s largest obstacle appears to be exposure. Unlike Minas Tirith, Shire America has not gotten the sweeping press attention the White City experienced. Why? Because it’s less ambitious, more realistic, and therefore less interesting in the eyes of major media corporations. On the bright side, those same elements are what make it, well, more possible. But the lack of attention is a very serious problem, because as of the writing of this article, Shire America has failed to raise anything. At all. And this brings us back to the pitfalls of crowdfunding. While anything is possible with enough people, even minor investors are usually a little hesitant to support a budget with so many zeroes. If every donor gave $10, the project would need seven hundred thirty thousand investors to meet its goal. Such large projects really need one or two primary investors to get involved. Crowdfunding would be a better way to finish the project than start it. However, the most exciting prospect of Shire America is that even if the IndieGoGo campaign fails, the plans are there, and the budget is reasonable. This project seems to have learned a lot from the failings of its predecessor, and it’s possible Shire America could be picked up by major investors. No matter how the Shire comes to life, I want to visit.